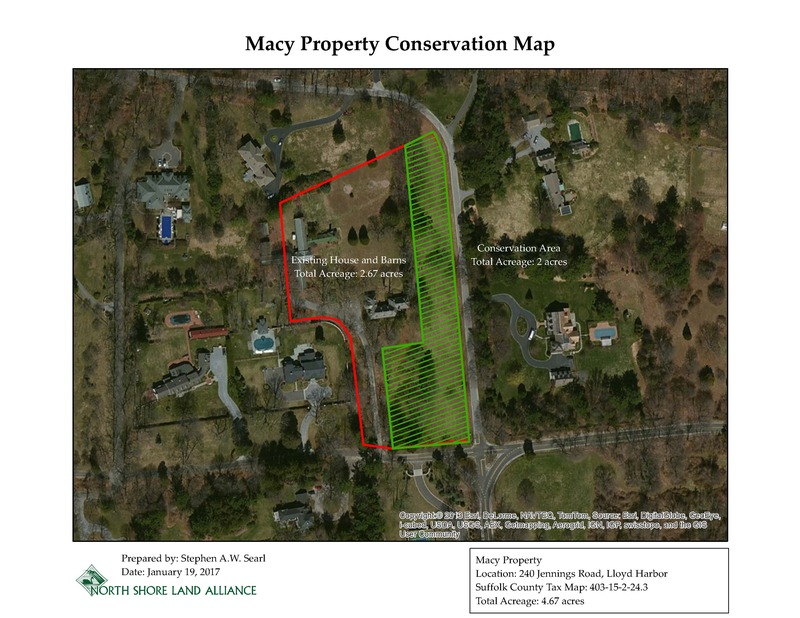 North Shore Land Alliance is proud to announce that the Macy property in the Village of Lloyd Harbor has been preserved. When Mrs. Macy, who lived to be nearly 104(! ), died last year her property (located on the corner of Jennings Road and Dock Hollow Road) was put on the market. Her neighbors, and many others in the community, were distressed by the potential loss of this very special corner of local life. With the help of community members, we approached the Macy daughters to inquire if they would be willing to work with us to preserve the existing meadow and find a conservation buyer. The daughters were so touched by this sentiment that they agreed to make preservation of the meadow a condition of any future sale. After an extensive marketing effort, a wonderful family came forward interested in buying the property, preserving the Macy meadow and restoring the existing historic house and barns. With the help of the local community, we raised the funds necessary to acquire a scenic easement on the 2-acre meadow portion of the property as well as a restriction on the size of a future house (if ever built). The two-acre scenic easement protects the view, important trees and meadow habitat that exist on the property. It also prevents things like a stockade fence, hedgerow or other impenetrable barriers that would block the current view. The new owners have already moved in. They now own the property subject to the conservation easement on the meadow, which is perpetual and runs with the land. Mrs. Macy raised her girls in the lovely historic house, once a part of the illustrious Jennings estate. 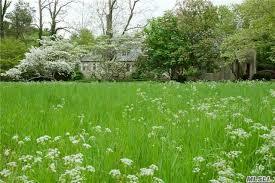 She grew her flowers in the great, wide beds next to the barns which will soon be restored. Mrs. Macy was one of the few people left in America who utilized the colonial method of drying fresh flowers, one by one in tiny cups of silica gel, then wired them individually and expertly arranged them in special containers. Those arrangements were referred to as “everlastings” and adorned the homes of some of America’s most prominent families. She was adored by her community and famous for her craft, as evidenced by articles published in national magazines. For more than 60 years, the annual Fourth of July parade started at the corner of the Macy Meadow and ended in Mrs. Macy’s front yard. Each year, an audience of children on bicycles and parents dressed in their red, white and blue gathers to sing “My Country, ‘Tis of Thee” and recite the Pledge of Allegiance. This is followed by an address from an invited guest, bringing attention to a particular time in history. Thank you to all the individuals who have contributed to the Macy Meadow appeal. Click here to learn more about the North Shore Land Alliance Macy Meadow Conservation Project. I WALKED AND/OR ATTENDED THE “MACY PARADE” FOR MANY YEARS, AND AM SO GLAD TO HEAR THAT IT REMAINS IN HISTORY AND THE MINDS OF OTHERS! THERE AREN’T M ANY OF US LEFT!